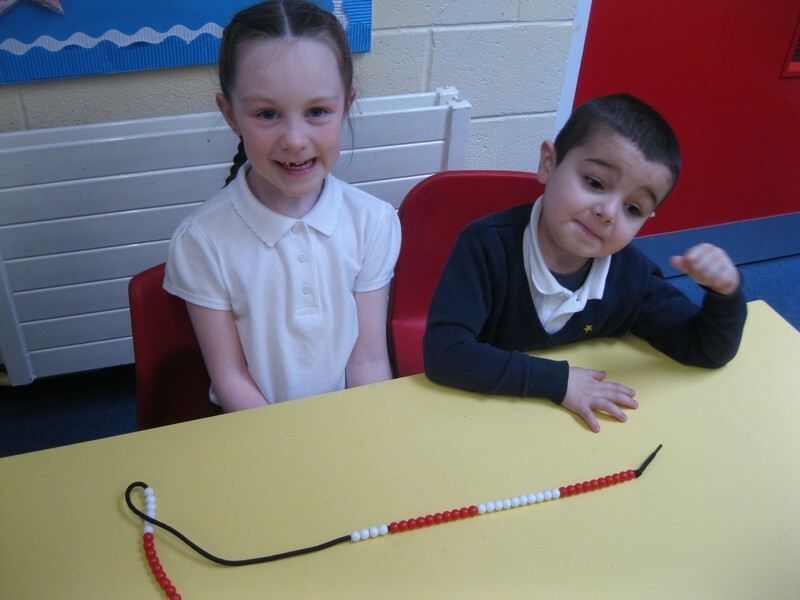 As part of our Maths topic for this week the Puffins are learning about measuring using non standard measurements. 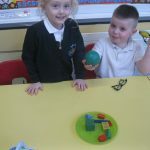 They had great fun measuring the playground in steps and using cubes to measure equipment in the classroom. 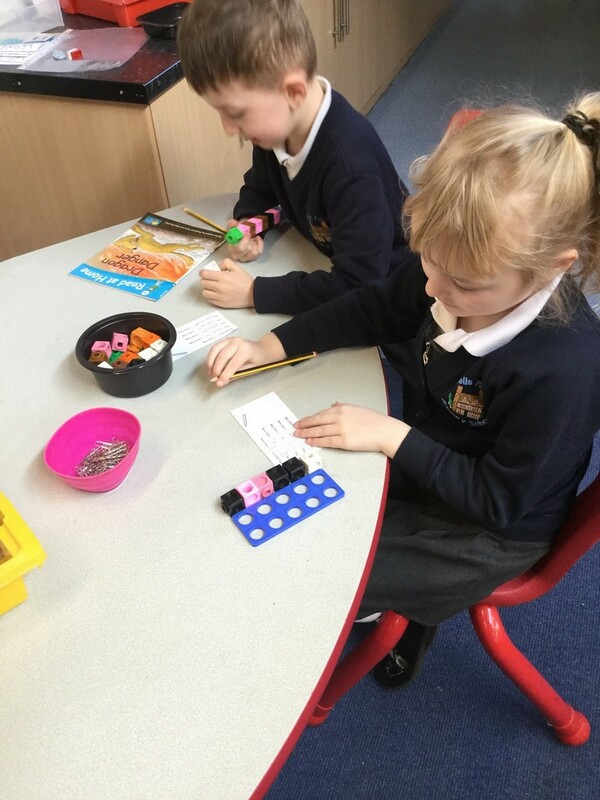 After a fantastic Christmas the Puffins have returned to school eager to learn. 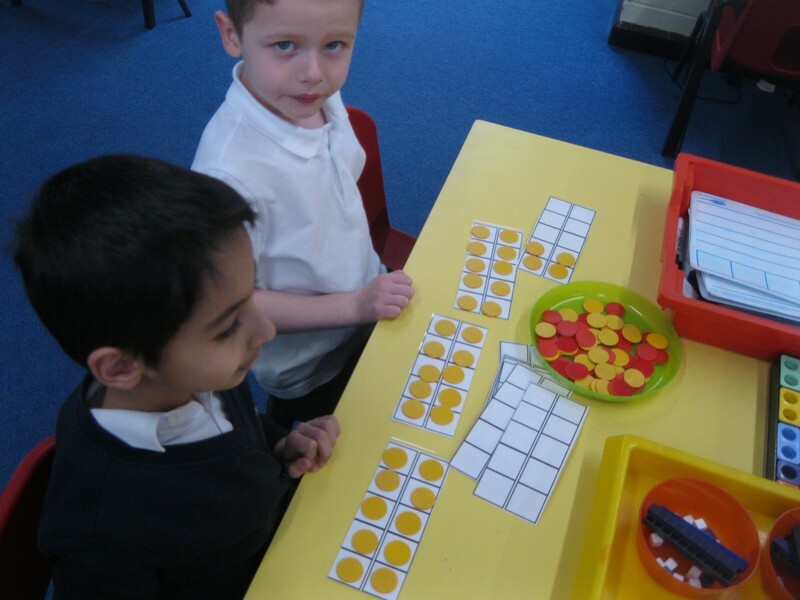 We are focusing on shape in Maths this week. 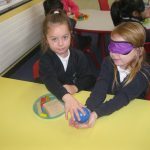 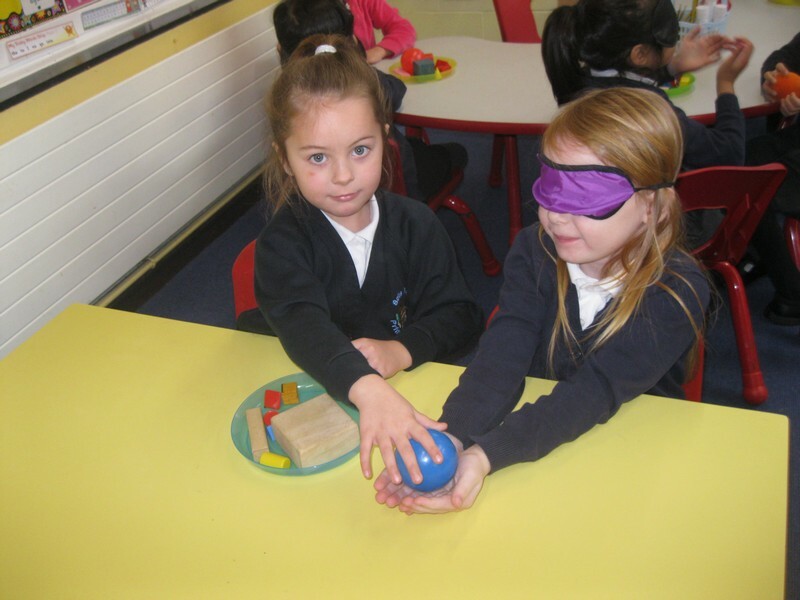 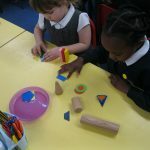 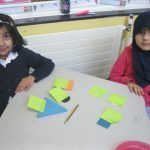 The children have worked fantastically with their partners learning to identify 3D and 2D shapes and their properties. 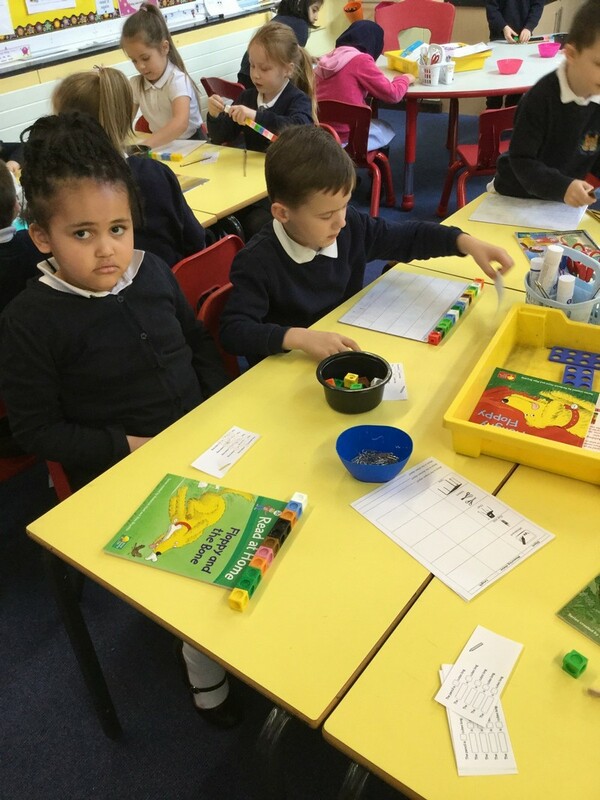 This week the Puffins have worked hard learning how to compare amounts. 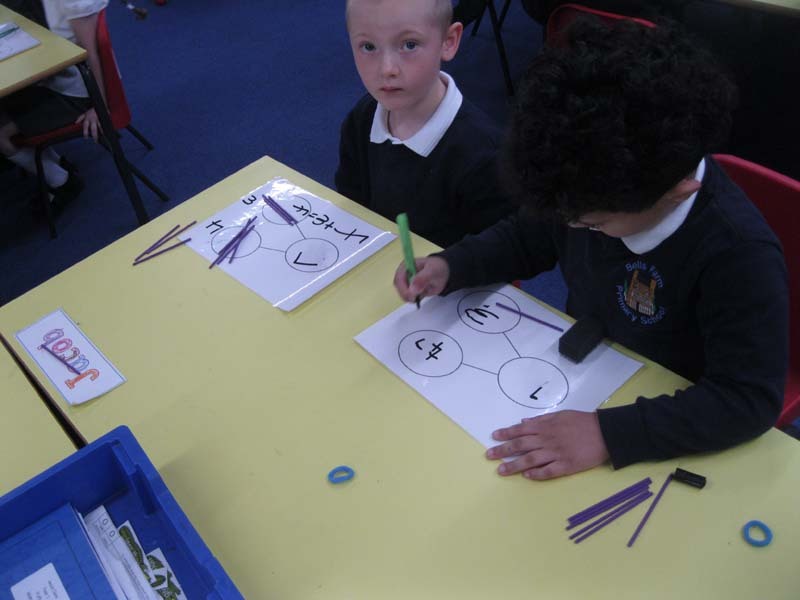 The Puffins have been working very hard with their partners today in Maths. 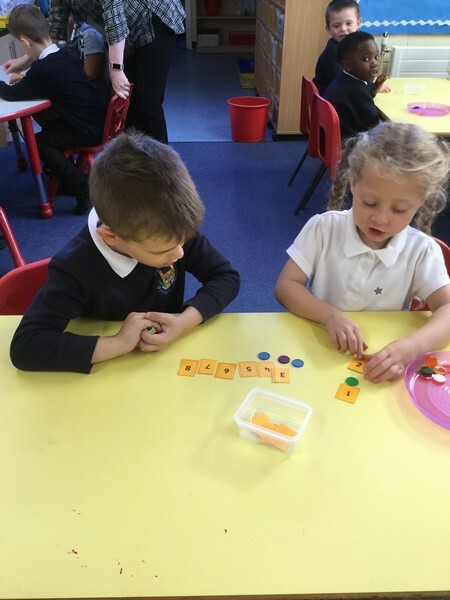 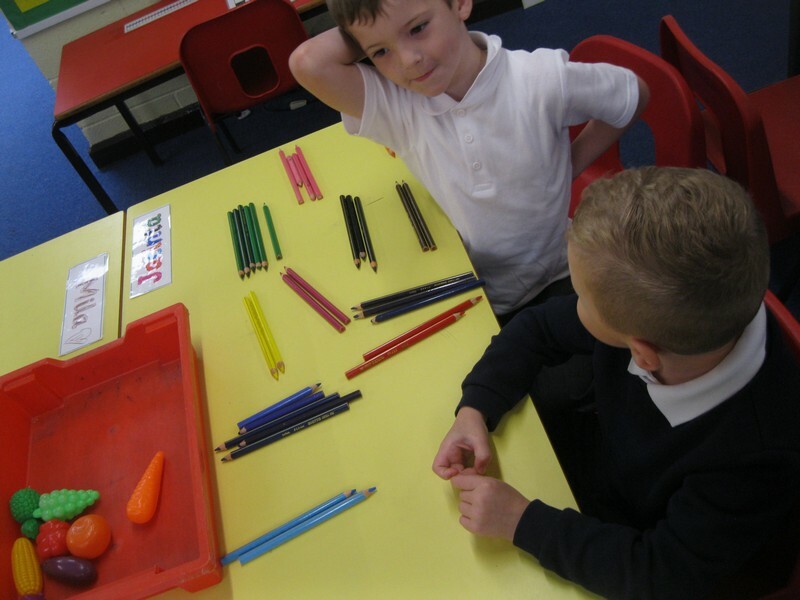 They have all been focusing on one to one correspondence first using counters and number and then practical objects. 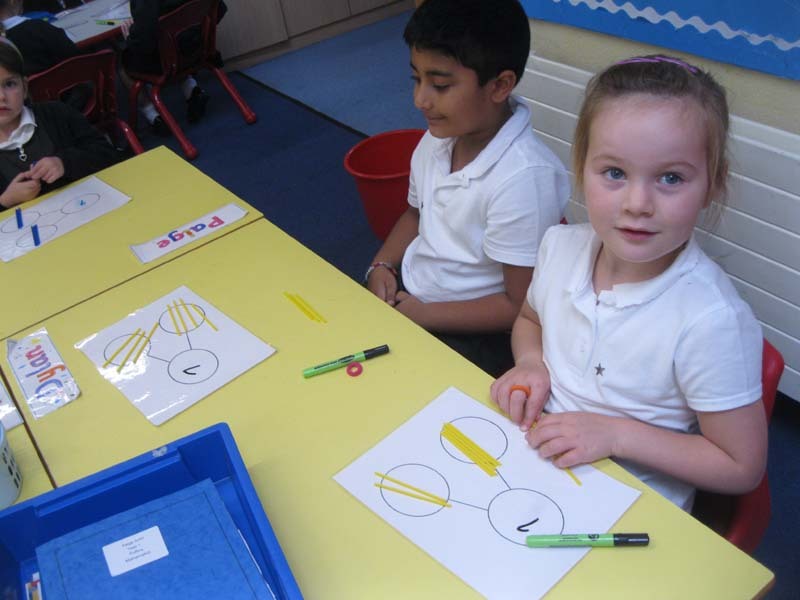 This week in maths we have been concentrating on our 2D and 3D shapes also positional directions and ordinal numbers. 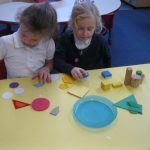 We have had great for exploring how to group shapes and learning all the names and properties of both the 2D and 3D shapes. 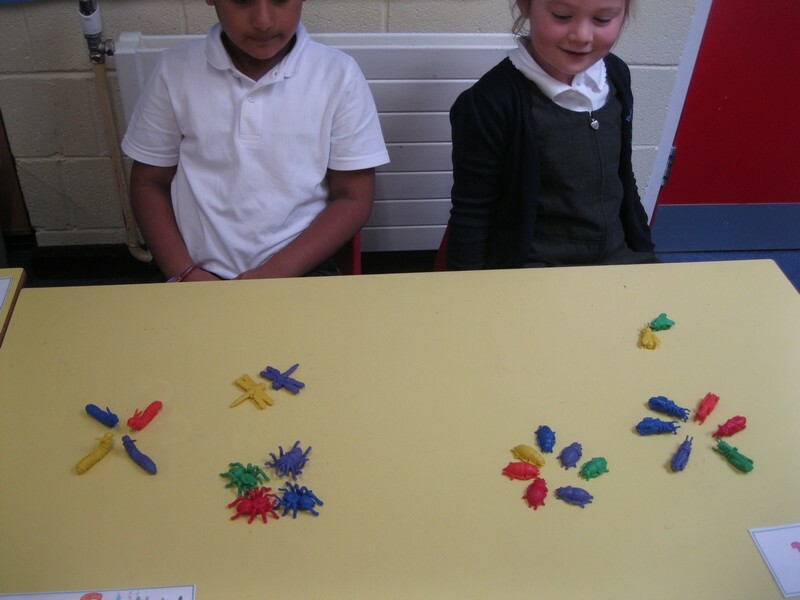 The children have especially enjoyed racing! 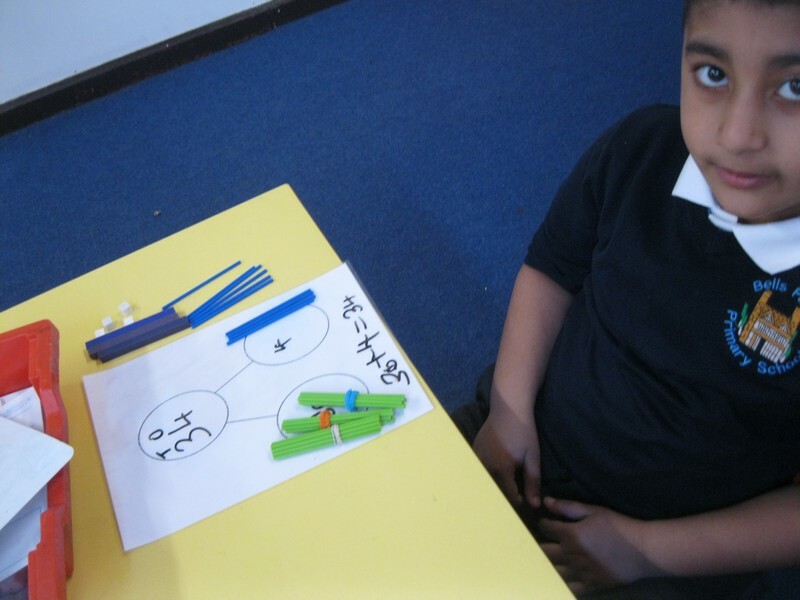 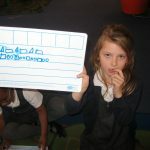 In maths this week the children have been looking at part whole models. 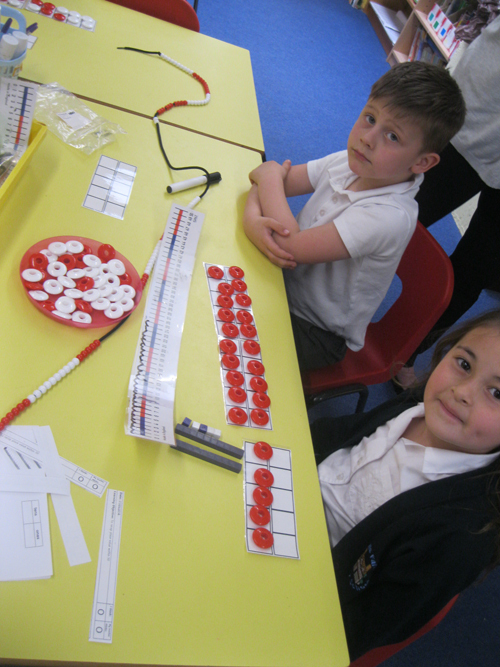 Today they used a partitioning tree to split their whole number into 2 parts. 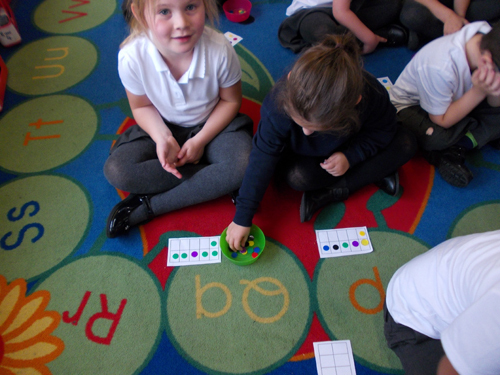 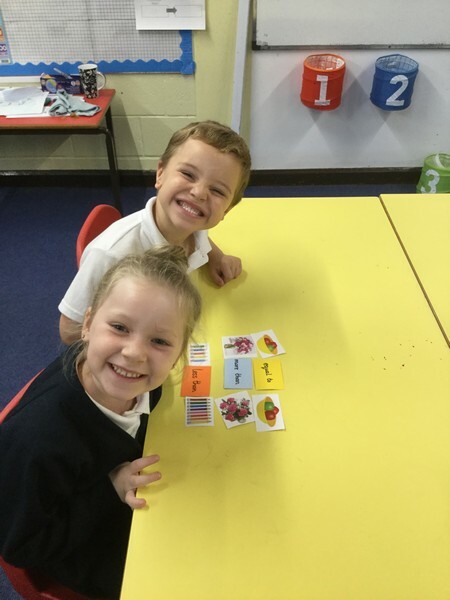 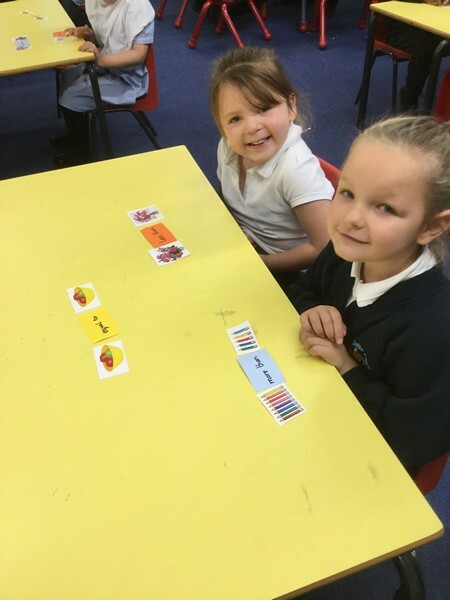 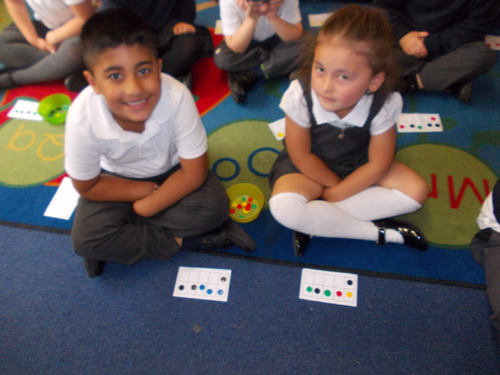 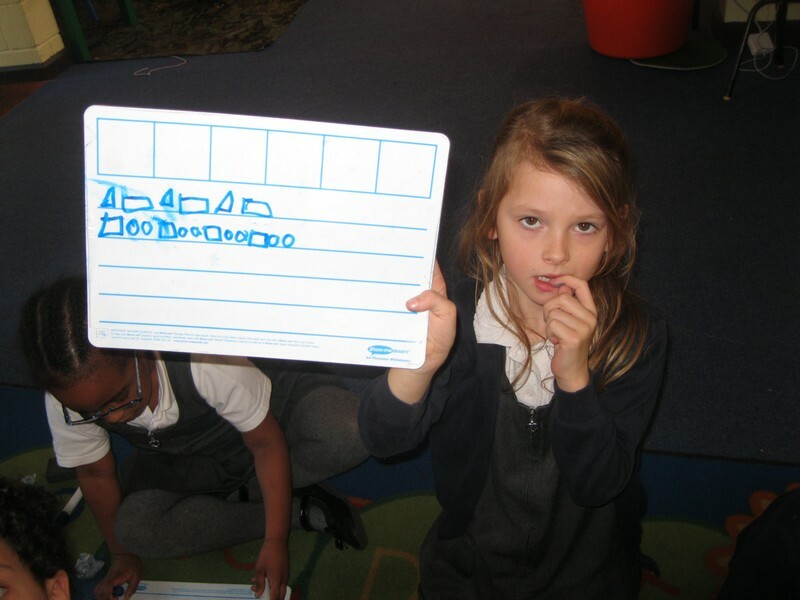 In maths today the children have been practising their counting using a number frame and counters. 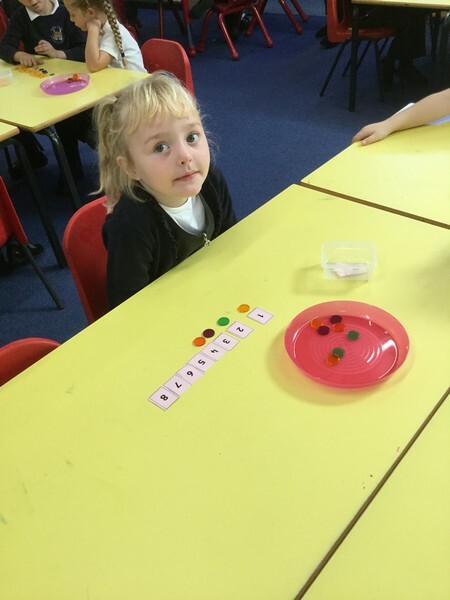 What a great first full week for the Puffins, we have learnt all about sorting using a variety of ways in maths, practised our HFW’s and handwriting and learnt our Talk for Writing focus book Going on a Bear Hunt. 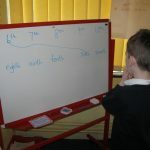 Finally today the children have discussed at length new beginnings in regards to changes to their lives and others. 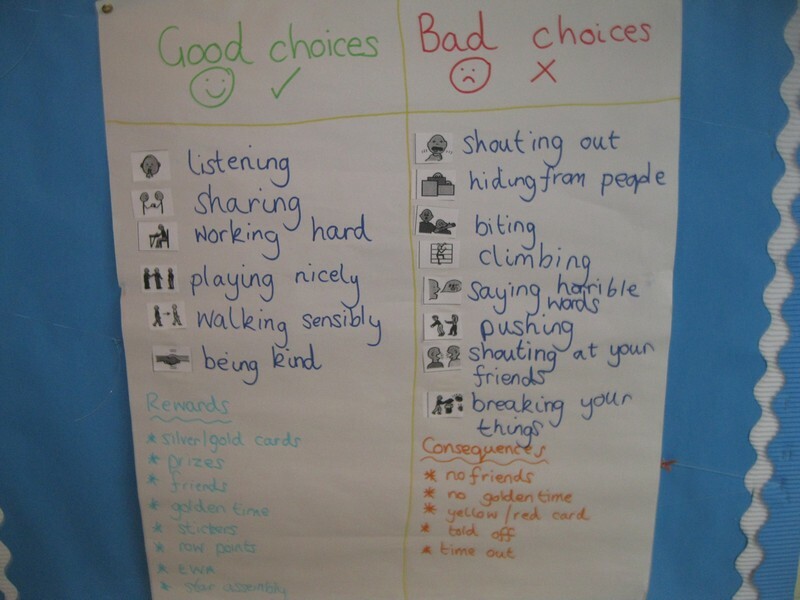 After we talked bout our choices and the impact these have when we start new ventures, in particular good and bad choices.